Recently, Soulja Boy released a mixtape named Juice. The mixtape was inspired by the film, starring Tupac Shakur. Following the mixtape, Soulja Boy revealed he was going to be a part of a remake of the film. Production for the film has already started and clips will soon be leaked to the internet. 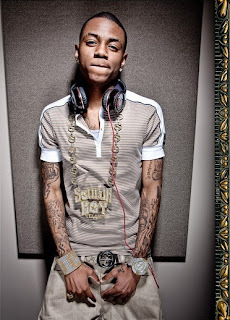 Many critics have had negative things to say about Soulja Boy regarding his lyrical ability. No matter what he does, the critics continue to insult Soulja Boy. Some hip hop publications have said he is among the worst rappers ever. Meanwhile, they crown rappers such as Tupac among the best. To die hard fans of Tupac, any comparison between a rapper with the status of Soulja Boy to Tupac is a sign of disrespect. Soulja Boy recently revealed he would play the role of "Bishop" in the remake of the movie. Tupac Shakur famously portrayed the role over fifteen years ago. Critics and die hard fans agree there are certain projects that cannot be remade. Will the Juice remake live up to the expectations and will Soulja Boy be able to prove everyone wrong once and for all?